Each interview question presents your client with an opportunity to present why they are the best person for the job. Your client's response should highlight their positive qualities and avoid presenting reasons to disqualify them as a candidate. For each quality your client presents, have them describe a situation where they demonstrated that quality. Coach them to describe specific examples of their experience where they demonstrated the quality they are discussing. Basically, you want them to be able to prove what they claimed. For example, if your client states that they " Work well under pressure," describe an example where they did work effectively under pressure and delivered the results required. Let your clients know that they shouldn't play the interviewer's game with alternative or trick questions. Interviewers often ask trick questions like, "Do you prefer to work alone or on a team?" Tell your clients: "In your response, be like a politician. Politicians answer questions by presenting information they want to present and do not allow reports to trick them." The next time you watch a press conference, notice the kind of questions reporters ask and see how the politician responds. Politicians often answer questions indirectly by presenting information they want to convey. Your clients can use a similar response strategy. For example, if the interviewer asks if your client if they prefer to work alone or on a team, they are trying to get you to say you're one way or the other. Don't play this game. The reality is that most jobs require us to work independently and in teams. Your client's response to this question needs to show that they have been successful in both situations. Before responding to any interviewer question, coach your client: "Take your time, breathe, and think about your answer. Thoughtful answers delivered clearly are much better than answers given rapidly. The quality of your answer is not measured by the speed of your response." Be honest and succinct with your responses. Tell the truth in a positive manner and don't discuss things or events in a negative fashion. Long answers are less effective than concise responses and tend to make interviewers suspicious. (If you are talking more than 90 seconds without interaction with the interviewer you may be giving them more detail than they want. If you feel you've been talking too long, just stop and ask the interviewer a question like "Am I giving you the level of detail you're looking for?" This question prompts a response and promotes a conversation. Besides, if you're putting the interviewer to sleep with your long answer, asking a question will wake them up. After your client's response, have him or her ask the interviewer a tag-on question to make sure they are understood accurately and to promote two-way communications. Your clients deserve the best, so help them practice their responses to frequently asked interview questions (FAiQ) and prepare them to be their best when it matters most. According to the U.S. Bureau of Labor Statistics, voluntary employee turnover across America was 23.2 percent in 2005, the most recent year available. This means that, on average, a little more than one in five employees quit their jobs every 12 months. What does that mean for you and your clients? For you, that means that out of every 100 employed individuals, approximately 23 of them will be making a job change. That's a lot of resumes and cover letters. For your clients, turnover creates opportunity. If there is a specific company they want to work for, chances are that turnover may open up the position they are seeking. Have you ever attended a professional conference and learned a lot ... but then realized that there is so much you still don't know? Things have changed so much over the past couple of years in the resume writing industry. In talking to colleagues over the past few days, I've learned I'm not the only one who feels this way. The introduction of personal branding into the resume development process is just one example. I've also heard over and over again that coaching is a must for working with resume clients, with few exceptions (and not just because it's an opportunity for extra revenue). Is that really true? What if you are a resume writer who doesn't want to coach? These are all issues we'll be exploring in future issues of Resume Writers' Digest. Do you have a topic you'd like to see us tackle? Let me know. I started the newsletter to get answers to questions I had...and guess what? I still have questions. E-mail me at RWDigest@aol.com. On a day when resume writing was under attack as becoming increasingly obsolete (I'd tell you more about it, but I'm under a professional gag order being enforced by the board of a prominent not-for-profit resume association), it was refreshing to return to my hotel room today and find a link to the Brazen Careerist blog, written by Penelope Trunk. Looking through her archives, I found this gem, written in December 2006, about hiring a professional resume writer, and how it is "so totally worth it!" I got the link from the ERE daily e-mail, which focused on "Some Thoughts on Blogs and Networks" in an article by Kevin Wheeler. If you work with Millennials, Kevin's article will give you some insight into how they are networking. I'm looking for some good blogs written by resume writers that are targeted at consumers. If you have one you'd like me to showcase, e-mail me. I was talking with a resume writing colleague today, and she suggested I write an article in Resume Writers' Digest about the new version of Microsoft Word (Word 2007) that creates the .docx files. Specifically, she was wondering if there was a converter for the Macintosh that would allow you to open the files. The answer is yes! With the Office Open XML Converter, you can convert Office Open XML files to a format that is compatible with Microsoft Office 2004 for Mac and Microsoft Office v. X for Mac. You can choose to convert and open one file, or convert a large number of files. You might lose some data, but it's better than not being able to open the files at all. Also, this is a beta release, and will expire Dec. 31, 2007, but Microsoft is expected to issue a permanent solution early in 2008. If you are using a PC, you can download the Word Compatibility Pack to convert the files to be opened in an earlier version of Word. Sometimes you can generate publicity by tying your concept into a television show. With the new season of television underway, there are new opportunities to find this connection. Called "Looking for a Job is a Lot Like Looking for Love," the news release highlighted the similarities between the resume screening process and the television show. The show was designed to help single gal ("Cupid Girl") Lisa Shannon find and marry her perfect mate. Helping her screen out "the losers" were her two friends, Laura and Kimberly. In the first two episodes, Lisa and her pals auditioned hundreds of prospective suitors. Each had just 30 seconds to make an impression and advance to the next round. I pointed out how the same mistakes that sunk some prospective suitors would also hurt job seekers trying to make a good first impression. Look to the media for current themes and trends you can piggyback onto for your news releases. MSNBC had an update: She picked a mate on the final show (Hank Stepleton), but the pair declined to be married live on TV, turning down $1 million. Instead, they said they wanted to get to know each other off-camera, and from what we’ve heard, they followed through with that. In 2003, after the show aired, they moved to Chicago — Hank’s hometown — together. In August of 2004, they were still together, having moved to LA, although they weren’t yet married or engaged. But the summer of 2004 was the last we’ve heard of them. How can you get more publicity? Be a better source. Prepare a couple of tip sheets ("Choosing a Resume Writer," "Top 10 Mistakes Most People Make on Their Resume," "Five Keys to a Successful Job Search," etc.) Think graphics! Can you provide a before-and-after sample? Sidebar with checklists? Your photo (professionally taken)? All of these things will endear you to the media. Trust me! The number one, least expensive, most powerful, but most underutilized weapon is your business card. It's low tech, it's old fashioned -- but it's incredibly effective, when used properly. At a cost of pennies each, business cards are mini bulletin boards to advertise your services. A well-designed business card says whom you are, what you do and how to reach you. If you have multiple lines of business, make sure you have a card just for your resume writing services. Send one with the bills you pay. Leave it with your tip at the restaurants you frequent. Pin your cards (2-3 at a time) to public bulletin boards (example: library, grocery store, and university). VistaPrint offers excellent, inexpensive business card printing. The article, "A Resume Summary Tells Employers What They Want to Know FAST," by Linda Nathanson, Ph.D., remains one of my favorite how-to articles of all time. It appeared in the January/February 2002 issue of Resume Writers' Digest. I want to share the "essence" of the formula with you. Put an adjective in front of the label. If the label refers to a profession or position the candidate hopes to attain, use the adjective "Prospective." it communicates an intended career direction and is ideal for recent graduates or career changers. Tell the reader where your client would fit into an organization. Avoid company-specific job titles. Seasoned accounting professional with 8+ years in the construction industry seeking a senior-level accounting position. Background includes experience managing all accounting-related functions in construction companies. Excellent management and problem-solving skills. Has a track record in implementing accounting policies and procedures. Proficient in using online accounting systems. Organized, detail-oriented and very hardworking. It's my birthday today, so I'm taking it easy ... or as easy as I can considering I have two weeks worth of work to finish this week, in anticipation of meeting up with some of you next week in Savannah. In the meantime, I wanted to give a heads-up about some items on the publishing schedule. • On or about Oct. 1, we will release our first Special Report -- on Subcontracting! Diana LeGere has done a fabulous job of researching and writing this report, interviewing more than a dozen resume writers to share tips and tricks for making money as a resume subcontractor. This has been a topic I get a *lot* of questions about, and the information she's providing is top-notch. • I'll also be publishing a Special Edition of Resume Writers' Digest the first week of October. It's a preview of the Career Directors International conference but will also have a couple of articles that have been percolating on my to-do list in the past couple of weeks. I find myself advising my clients to keep their skills current. I ask them about additional training, education, and skill development they can seek out to make themselves more marketable. But do we heed our own advice? Probably not. Don’t let you or your skills become obsolete. Develop your professional skills to achieve your financial and career goals. But don’t just add new skills willy-nilly. Develop a plan. Lay out a vision of your life and then map out how you’ll achieve that picture. • Take an honest look at your worth. Once a year, take a good look at your competence and skills. If they don’t match what your clients need or are asking for, figure out how and where you need to improve. For example: Do you have clients asking for coaching or interview training, and you don't offer these services? Consider training and certification in this area. • Stay on top of technical skills. Make sure you’re competent on basic applications and have a command of available technology (the Internet, Microsoft Word, and communication devices, to name a couple) to make you more efficient. Stay abreast of technological change by reading relevant publications. • Make upgrading your skills a priority. That means accepting lifelong learning as a principle. Take classes online, go back to school or take continuing education classes applicable to your job or the job you want. Check out the teleclasses offered through several of the professional resume writing associations. • Get a mentor. Look for someone who will help you navigate the political arena and help direct your professional development. Look for someone who also has a proven track record of advancement, skill and knowledge. Research and identify employers for whom you'd like to work. Contact each employer by letter or phone, indicate how you can be of value and ask for an opportunity to visit and discuss employment opportunities. Contact your relatives, friends, and professional colleagues and ask them to share valuable advice and employment information. Remember, the more people working with you, the more leads you can produce. Contact employment recruiters who place people in your career field and industry. Each state offers a wide variety of information and assistance designed to help you find employment. Check out their career centers for valuable information on career and industry trends, salary surveys, job-hunting tips, interview techniques, and more. If you're a college graduate, contact your placement office and inquire about employment assistance, including job leads, available to graduates and alumni. If you work in a professional career field, several state or national associations likely exist and provide career information and services to members. Find associations in your field through your local library and contact them to ask about employment assistance. Employers nationwide have created job hotlines that you can call -- usually via a free 800 number -- to learn about employment openings. Most bookstores and libraries have books listing hundreds of job hotlines. The passenger tapped the cab driver on the shoulder to ask him something. The driver screamed, lost control of the car, nearly hit a bus, went up on the sidewalk, and stopped centimeters from a shop window. For a second, everything went quiet in the cab, then the driver said,"Look mister, don't ever do that again. You scared the daylights out of me!" The driver replied, "You're right. I'm sorry. It's really not your fault. Today is my first day as a cab driver. I've been driving a hearse for the last 25 years." I always enjoyed this joke, not just because it's funny, but because it illustrates the power of transferable job skills -- but also how those skills need to be adapted to the new job. I've worked with a number of career changes from the mortgage industry recently, and it's a lesson they can learn from. Not everyone who worked at Enron, or for subprime mortgage lending firms, or Worldcom -- or whatever -- was bad, but when you change jobs, you need to be more alert ... watch for the signs of trouble early. Warn your clients not to let themselves be "startled" when they see the same things happening in their new industry. is to present career-related workshops. The barrier for most resume writers is knowing what to SAY in these workshops. Well, I've got a solution for you. It's called "Twelve Steps to a Successful Job Search" and it's a complete training program for resume writers and career coaches. Why might résumé writers want to make presentations? For exposure. For profit. Or maybe, if they’ve purchased "Twelve Steps to a Successful Job Search," because it’s so darn easy. If it came in a container, this kit might easily be referred to as a "seminar-in-a-box." But since it doesn’t, it should be called a "workshop-in-a-binder." Produced by Nancy Karvonen, CPRW, CEIP, JCTC, CCM, and adapted from Jack Chapman’s popular special report, "Twelve Biggest Mistakes Job Hunters and Career Make and How to Avoid Them," this workshop is a perfect fit for prospective résumé clients, paying clients and general audiences. The focus of the workshop is on three areas: the job search, the interview and salary negotiation. The original one-hour format offers enough information to be useful without "giving away the store." You can add additional examples, anecdotes and samples to any section to expand the workshop content (and length). For résumé writers looking to market themselves, Karvonen has included bonuses to make the process easy, including a sample workshop marketing letter, flier mock-up, sign-in sheet (including all the information you’d need to follow up with interested prospects) and evaluation form. The content of the workshop itself is also geared towards prospecting new clients, should you choose to use it for that purpose. For those not familiar with Chapman’s "12 Mistakes," Karvonen explains them clearly and concisely. The workshop format follows the job search of "Pat Traditional," who was laid off from her job. Pat uses many of the same techniques that the "typical" job searcher tries and makes dozens of mistakes in the process, some of them made by even the best-intentioned job searchers. Along the way, the workshop identifies the mistakes Pat makes and offers effective alternatives that are based on the same concept, but are more likely to yield results. For example, in "Leaving Yourself Open to Too Many Kinds of Jobs" (Mistake #6), Pat ap-plies for dozens of different types of jobs, reasoning, "If 100 jobs are out there and you narrow your search down to only two of them, your chances are much less than if you’re open to every-thing, right?" Instead, the workshop offers suggestions for effectively narrowing her search. The kit itself is well done. It contains five major sections, separated by dividers. All the pages are numbered (including the handouts), making it easy to find information and sections quickly. Originals are sheltered in individual sheet protectors, making it easy to keep them in good condition. Plus, the CD-ROM makes it easy to customize pieces or print new originals, if necessary. The CD itself is a gem. It uses Microsoft PowerPoint and Word for-mats and can be used by either a PC or Mac user. Adobe Acrobat PDFs ensure new originals can easily be made without loss of style or format. It's just $99.95 for the complete kit. It’s definitely worth the price — and knowing that you’ll be up and running and able to present your first seminar in about one week is worth the price. Another bonus: Don’t like making presentations, but still want the resulting publicity? Buy the kit and use it as fodder for news releases and hand-outs. Several of the overheads are appropriate for charts accompanying news or feature stories. Or use each mistake as the subject of a series of 12 news releases. Incorporate in your own client’s experiences as examples. My favorite of these is the TORI award. I love the idea of recognizing our peers for their work. I'm guessing there will be fewer political statements in the TORI acceptance speeches than at the Emmys, though. Here are this year's nominees. Winners will be announced at the Career Directors International conference in Texas on October 20. Beth Stefani - Orison Professional Services, Inc.
Lisa Becker - CareerPro Global, Inc. Nominee selections were made by Louise Kursmark, Marty Weitzman, Darlene Dassy, and Robin Schlinger. Susan Britton Whitcomb has just released a new book, "30 Day Job Promotion: Build a Powerful Promotion Plan in a Month." You can read a sample chapter here. Quiz to predict your client's "promotability factor"
Buy the book on Tuesday, Sept. 18 and help Susan climb the Amazon best-seller charts! When you think of subcontracting, you might think that only pertains to actually writing the resume. But other subcontracting opportunities exist for professional resume writers. One of these opportunities is being offered by Peter Newfield, of Career-Resumes.com. He is looking for resume writers with strong technical knowledge (of effective resume strategies), good sales ability, and solid organizational capabilities for a Resume Sales Position (multiple positions available). Perform written resume critiques, providing resume development quotes and converting leads into sales. Receive a commission on inquiries which result in a paid order -- earn an average of $60 per conversion. Set your own schedule. For more information, e-mail Bridget at RWDigest@aol.com (subject: Resume Sales Position). I'll send you the details and application information. One of the best things about publishing Resume Writers' Digest, I think, is the opportunity to bring the "best practices" of our industry's best and brightest to light, so that we can all share in the rewards. But sometimes you may be thinking to yourself as you read the newsletter, "That would never work for me." "An "idea" has to be more than a suggestion that someone else can pick up and run with. At the minimum in business, an idea must be a clever recombination of two seemingly disparate concepts into a larger concept that no one else has considered before." If you can't make that idea into something "no one else has considered before" -- you can certainly think of a way to implement it to your advantage and have it work for YOU in a way YOU had never considered before. Take a look at this six-page special section on the 2001 PARW Conference in St. Petersburg, Florida. Then find ONE idea you can adapt and put into practice for yourself -- and DO IT! Conferences are great inspiration. It's not too late to register for the Career Directors International Conference next month (Oct. 18-20) in San Antonio, Texas. Recruiters: "Competition" for Resume Writers? There was a comment made in the Recruiter's Panel at the CMI Conference (now the Career Management Alliance) in San Diego in 2002 that sometime in the future, recruiters may get into the résumé-writing business. I would argue, some already have. For the sake of argument, permit me to comment on this. • There might be an opportunity for resume writers to more closely affiliate with recruiters who want to offer this service, but don't want to take on staff or do it themselves. • It's easier for recruiters to find the prospects -- people are always sending resumes to recruiters; if they're bad, they're in a perfect position to recommend that their resume needs to be redone. • Recruiters don't need to make money off the resumes they do; their primary profit centers are the fees paid to them by employers. Ergo, they can/will underprice most resume writers. • Unlike most resume writers, recruiters know the target EXACTLY. (Resume writers can usually get it about 98% right *grin*). When they create the resume, they also know what to emphasize to get that particular job. Almost every time. Keep an eye on this topic -- it's going to be hot in the next couple of years. All right, it's five years later. What's the reality? I know of several resume writers who subcontract write for recruiting firms. I know of a few resume writers who also do recruiting. For the most part, the status quo has reigned. But that's not to say that things won't change in the next five years. Stay tuned. I'll have more for you on this topic. My birthday is in September, and I'm amazed at the volume of mail I'm getting from businesses to honor this special day. I don't think many of my family members will send a card, but I've received cards -- and even a small plastic bottle -- from the Nebraska Lottery, Canfield's Sporting Goods, and two local restaurants, among others. Real estate and insurance agents are masters of it: Keep in touch marketing. It's the art (and science) of keeping your name in front of clients, prospects, referral sources, and the media. It's not difficult -- although it does take a commitment. It's not expensive, but it does require an investment of your time. The goal of keep in touch marketing is to put something in front of your target audiences 6-8 times per year. One of the best ways to develop customer loyalty is to establish ongoing communication with the people who are most important to your business. One of my favorite methods of ongoing communication is to offer customers education. Another method of continuing communication with your customers is to send them something they can use throughout the year to keep your name in front of them. It can be as simple as a refrigerator magnet or a pen with your name inscribed on it." "Not all communication has to be offer-driven. You can write to give people information, to thank them for buying, to let them know you haven't heard from them in a while, or just to say hello. Of course, if you want to add an offer, that's fine too." Start planning your Keep in Touch marketing program today! It's ready! 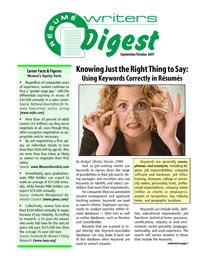 The first issue of Resume Writers' Digest published since June of 2005. If you have already signed up for the double opt-in mailing list (using the form at the top right-hand corner of this blog), you'll receive your issue tomorrow (Tuesday, Sept. 11, 2007). • Program Offers Opportunity to Help Clients "Get Hired Now!" 1. Why did you buy from me/us? 2. How do you feel about the work I/we have done? 3. What are you happiest about, and most satisfied with? 4. What would you change or do differently next time? 5. How can I/we serve you better in the future? These five questions identify motivations behind the purchase that can help you target your marketing materials and sales pitch. I challenge to you to ask just FIVE of your clients these five questions. I think you'll be surprised at the answers. Wondering about your payment policies? Here are my thoughts on the subject. Most payment policies are actually more about pricing and branding. If you are targeting an audience that needs your services, and (collectively) can afford your services (i.e., your target market is not homeless veterans, and you charge $250 for a resume), your pricing and payment issues should not be as much of an issue as it apparently is for some resume writers. For clients, it comes down to "trust, but verify." If I'm paying you $500 for a resume, how do I know that I'll get my money's worth? If I pay you 100% up front, I'm taking a leap of faith that I'll get what I'm promised. If I put down a deposit ($50 or 50% or more), we both have something invested in the process, but there's still a finalization process. If you don't collect anything up front, the resume writer takes on the risk of not getting paid. So there's a balance. How do you alleviate your prospect's concerns? Relationship building is a key part of the process of turning a prospect into a client. (But remember, not every prospect will become a client -- nor should you want all of them!) Create a comfort level with prospects through testimonials, articles, samples on your site, success stories, e-mail newsletters, and certifications. Allow clients to pre-qualify themselves -- if you don't do $45 resumes, put a range of prices on your site or in your materials so they won't waste their time -- or yours! Your clients should not be surprised when you finally quote a price -- they should have a general idea based on your marketing and positioning of your services. Don't spend 1/2 an hour on the phone talking with someone who doesn't have the ability to pay anywhere near what you charge. At least make sure they're in the ballpark before you make your "pitch," so to speak. Pricing and payment policies are very much tied into your overall branding and positioning statements. I did marketing for a travel agency for four years. We sold cruises by Carnival ($199/day per person) and those by Crystal Cruises ($599/day per person). We didn't market all our cruises the same way to buyers. Domain names are cheap, and so are websites -- use different websites to target different kinds of clients so you build your credibility with the specific type of audience you're pursuing. We did websites (or specific web pages) just for brides, just for couples without kids, and promoting cruises for those who wanted to put together a group to go with friends, You can also provide specific links to different resources that tie into the target audience. No matter *how* you handle your payment policies, it should be something that YOU are comfortable with, because if you don't believe in it, your prospective clients aren't going to buy into it. How you phrase things can have an impact, so develop a script that you can refer to during the prospect call. Communication is the key to happy clients. Communicate what the terms and expectations are up front, so that there are no surprises. This should all be in your Client Service Agreement. 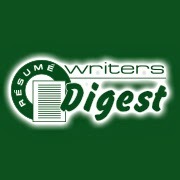 Resume Writers' Digest is Back! We're back, and it's FREE*! Subscribe today to my mailing list and you'll receive the September/October issue when it's released next Monday, Sept. 10. If you were a subscriber before (the newsletter was published bimonthly from July 1999 through May 2005), you know that you can expect informative articles designed to help you improve your writing skills and manage your careers business more effectively! * Starting with the November/December issue, you will only be able to receive the newsletter for free online if you are part of the Resume Writers' Digest mailing list, so sign up today. Use the form in the upper right-hand corner of this page to opt into the list. It's a double opt-in process (you will get an e-mail confirming you want to join the mailing list), so be sure to sign up and confirm your subscription before Monday. Help us spread the word about the return of Resume Writers' Digest! Send an e-mail to your colleagues. Post the link on discussion groups and message boards for the careers industry. Tell your friends who may be considering getting into the resume writing industry. The more subscribers we have, the better the content will be. And be sure to support our advertisers, and purchase our books and special reports -- your support will ensure Resume Writers' Digest is even better than before! Story ideas? Questions? E-mail me at RWDigest@aol.com. And check back frequently on this blog, as it's regularly updated with current events, insightful ideas, guest articles, interviews, and more. You know how sometimes when you type in a business name on Google, there's a whole lot of information, including a map? Well, you can get one of those listings -- for FREE! It's extra advertising exposure for your resume writing business. You can even provide a coupon which will allow you to TRACK this new business! Visit the Google Local Business Center and create your listing today! One note -- when describing the category of services offered, they don't currently offer one for Resume Services. I'd suggest listing under Services: Employment & Temporary Agencies. I'd also suggest using the "Suggest Another Category" tools to suggest one for "Services: Resumes." If enough of us put that, they might add it! Visit the Career Directors International web site to download promotional materials for your website! What we think of as a 'life print,' or guideline for career development, will provide a proactive approach toward meeting unforeseen market and company changes, in reevaluating personal worth and in preparing to obtain the next step in career growth. Too often job seekers avoid taking this crucial step until the last minute, when they need their resume yesterday. However, by declaring September as the official update month, people will have the opportunity to better control and champion their own futures. During Update Your Resume Month, every member of CDI will be dedicated to alerting their clients to the value of taking this crucial step in their career development. CDI members will educate clients on one service per week in September, including the Resume Update, Cover Letter Development, Interview Preparation and Job Search Strategy. We all know a good cover letter can be the difference between one of our clients getting an interview -- or not. "Once upon a time, there was a job searcher named:"
And it goes on from there. How did he find out about this job? What can he bring to it? My five little nieces love a good story. But so does every HR person faced with a stack of resumes and cover letters. Tell a good story -- and get your client in the door for an interview. I had another call today from someone looking for a "cheap resume." "I need you to help me with a one page resume," the voice mail message said, "And I just need you to type the information. I listed my jobs as a colorist, beautician's aid, and also my experience in art promotion and music promotion. How much do you charge?" By the time I called her back, she had arranged for another "service" in town to create the resume, for $45. "Just so I know," she said, "How much do you charge?" "But how much would it cost?" is all she wanted to know. Sigh. That's all right -- I don't want -- or need -- every client who calls. Some of them don't make the correlation between investing in themselves as part of their job search, and the return on investment they'll get from a faster job search and higher starting offer, as a result of demonstrating their value to a prospective employer. It reminded me of another client, and the e-mail response I sent back after being told, "You charge too much." As you might imagine, with more than 4,000 resume writers nationwide, fees vary considerably. In fact, I've done quite a bit of research on this topic as the editor of a trade journal for resume writers. While it's true you might find someone competent who will charge very little for their services, the majority of professional resume writers -- that is, individuals who do this for a living -- invest quite a bit of time and money in keeping abreast of the latest trends in resume writing (especially about things like keyword summaries for companies who use applicant tracking systems). The national average for a resume is $279 (and that was from Dec. 2004 research). You'll also find a wide variety of credentials among professionals. 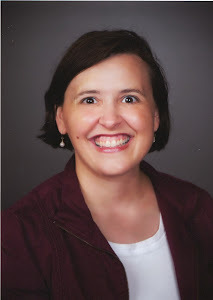 As a member of four national professional resume writing associations, and as a Certified Professional Resume Writer with a bachelor's degree in journalism and public relations, I have more than 12 years of experience writing interview-winning resumes. My clients rely on my expertise to get them an interview in a highly competitive job market. I had a client recently who paid around $200 for his new resume and cover letter -- but he landed six interviews from 10 resumes he sent out, and ended up accepting a new position that will pay him $25,000 more than his current position, with the potential for $15,000 more in bonus. In essence, his $200 investment landed him a 30% raise. His situation isn't typical, but many of my clients have landed more modest increases -- along the lines of $8,000-$10,000 -- through development of an accomplishment-focused resume that helps them not only get the interview, but help the interviewer establish the areas of value that he/she can bring to the company -- by saving money, saving time, attracting new clients, etc. I share this information with you not to impress upon you the results I've achieved with my clients, but to let you know that your investment in your career can make a big difference over time. Finding a job faster (being out of work for a shorter period of time), being able to quantify why you're worth a $3,000 higher salary than initially offered ... these are things that an effective resume can do for you. I hope that you are able to achieve the results that you are seeking from the service provider that you selected. It probably didn't make a bit of difference to that prospective client (I never heard anything back), but it sure made me feel better. Review Your Severance Package. Make sure you understand if or how long your health insurance will continue if you're laid off. Think about "selling back" any extra vacation or sick days you have to the company in exchange for pay. Roll Over Your 401k Into an IRA. Unless you have no other option, don't liquidate your retirement account if you're laid off. You'll have to pay taxes on whatever you take out, plus possibly a 10 percent withdrawal penalty fee -- and the lost value of that money can never be replaced. Raise Your Deductibles On Your Insurance Policies. That way, you can lower premiums. However, even if you're out of work, don't cancel any policy in an attempt to save money. Keep Your Resume Updated. If you are laid off, you'll have to move fast. Make sure your resume is up to date at all times. The Best Time to Look For Work is When You Have Job. Don't wait for the ax to fall. Start looking for another job now. A job search takes time, and the earlier you get started (particularly if "the writing is on the wall," so to speak, about your company's future), the better off you'll be. Consider Temp Work. There is a big market for part-time, temporary and free-lance work in almost every job market. These kinds of assignments will put quick cash in your pockets while you look for something more permanent. OfficeTeam asked office professionals to share the biggest job search blunders they had heard of or witnessed firsthand. Survey respondents were asked, "What is the biggest mistake you've heard of someone making during his or her job search?" "Someone interviewed for a position and was not given the job. But he showed up anyway, saying, 'Here I am!'" "An applicant came in with his recruiter and had the recruiter answer the questions." "A job seeker didn't hang up the phone after calling about a job. I overheard everything he said, and it wasn't good." "One gentleman submitted a resume that contained misspelled words and an orange juice stain." "When asked what he had been doing while unemployed, the applicant said, 'Staying home and watching TV.'" "One woman immediately described her faults to the interviewer and mentioned days she would need to take off." "During an interview, when asked what his greatest faults were, an applicant gave too many answers. He kept going and going and going." Poor communication etiquette was a mistake cited often by survey respondents, including applicants following up too frequently, failing to return calls or show interest in the job, and talking too much or too little during the interview. Behavior that also left a bad impression included job seekers who admitted they were only interested in the money or benefits, failed to research the company, or who were discourteous to employees in the office (for example, the office receptionist). -- This survey was developed by OfficeTeam, a staffing service specializing in the placement of skilled administrative professionals. It was conducted by an independent research firm and includes responses from 500 individuals ages 18 or order. Setting Yourself Apart From the "Competition"
• Affiliation (i.e., memberships in professional organizations). (value = current knowledge of trends and techniques in career management). "UNLIKE OTHER PEOPLE, I …"
Then you'll get people who say, "Call _x_ -- she does exactly what you need."